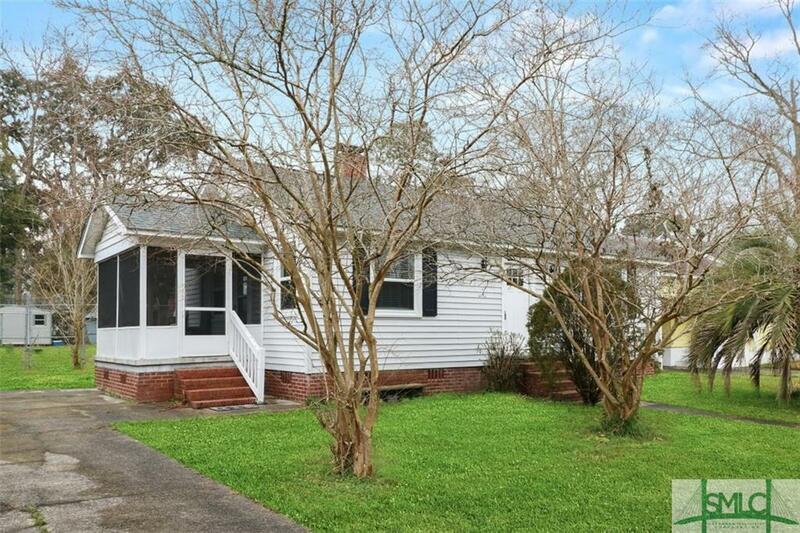 Completely remodeled home located only minutes from Gulfstream, The Ports, The Sugar Refinery, and the Base in Savannah. Brand New Roof, Brand New Paint, New Windows, Updated AC System, 2 Sheds In Back, Fenced-in Yard and Smooth Ceilings. Home comes equipped with all appliances including that of a newer Refrigerator, Washer, Dryer and brand New Range with a Convection Oven. Original Hardwood Floors in great condition and located in the hall and 2 bedrooms. Fireplace in Great Room and is open to a Spacious Dining Area. Additional Screened-In Porch has been updated as well....perfect for an outside sitting area! This home is MOVE-IN READY and is PRICED TO SELL AT $79,900!!! Listing courtesy of Dena Rodewolt of Era Southeast Coastal Real Estate. © 2019 Savannah Multi-List Corporation. All rights reserved.